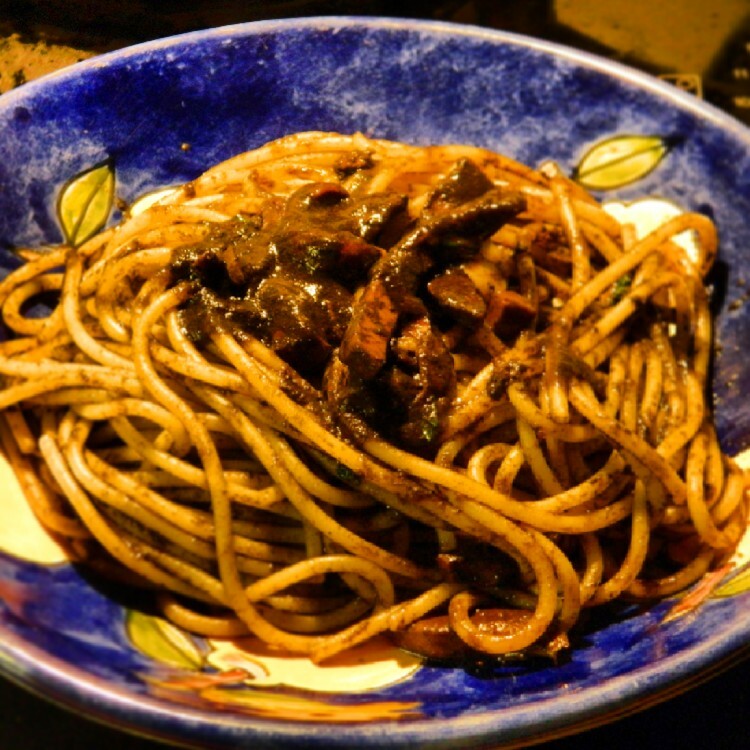 When in Sicily, you must try “pasta al nero di seppia” or pasta with cuttlefish ink sauce. Here, I’ve used standard wheat pasta, but alternatively, you could enjoy the sauce with black pasta that is made with the ink. Either way, it’s something special. Be careful not to get it on your shirt! It’s called ink for a reason.